Welcome to Hunters Pointe Apartments. We have an optimized screen reader version of this site available. Hunter's Pointe Apartments is conveniently located in Carlsbad, California and just minutes away from the best dining, shopping and entertainment. Our apartment homes are ideal for those looking for a world of luxury and a life of comfort. Hunter's Pointe Apartments offers quality and affordability in an unbeatable location. Choose from one of our exceptional one, two and three bedroom floor plans. Uniquely designed with the amenities that you deserve, our community features are second to none. Fully equipped kitchens with dishwasher, gas stove and refrigerator, plush carpeting floors, mini blinds and walk in closets are just a few features included in each apartment home. From the moment you arrive you'll feel like you're coming home. Amenities included shimmering swimming pool, business center, clubhouse, children's play area, laundry facility, picnic area with barbecue, basketball courts and beautiful landscaping. Our team is dedicated to providing quick and excellent service when you need it. 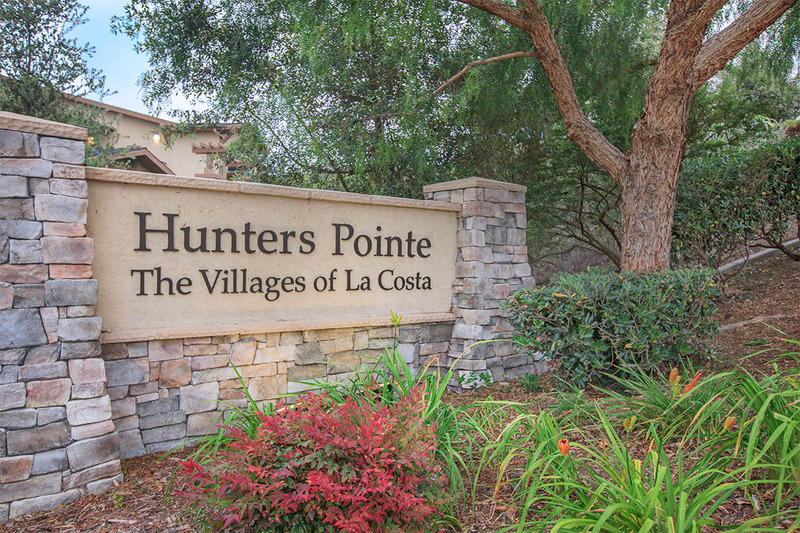 Tour our community and see what makes Hunter's Pointe Apartments the best apartment home community in Carlsbad, California. ** Prices subject to change and are based on new tenancy.